How dirty will artificial plants get, and how do we clean them? This is a point of concern with all users of artificial shrubbery. It is also one of our chief concerns. Commercial users of artificial shrubbery are noted for being good gardeners, and pay little attention to care of shrubbery, once it is installed. Let’s look at the problem. In service station environments and other areas close to traffic, a film of dirt composed mostly of soil dust and rubber dust from tire treads, oily scum, etc. tends to settle on plants. Regular frequent washings would keep the plants looking fresh and clean. An important feature which prohibits dirt build-up our plants are the leaf structure. The surface of the leaves is smooth and waxy. Hardly anything will stick to polyethenes of this type. In normal climates, natural rainfall will keep the plant reasonably clean. Oil scrums are easily cut from Polyblend by using a water hose with a metering jar of liquid detergent attached. One of the inexpensive jars sold for applying insecticides will do. Place the topiary in a place that gets a lot of shade. Make sure that the plant is in a place that has a steady daytime temperature of 60 to 75 degrees. Hydrate the topiarys when the top 1 inch of soil dries out. Pour water directly into the soil at the plant’s base. Make it so that the soil moist, but not overly so. Mist the leaves once or twice a week with lukewarm water from a spray bottle. This will help raise the humidity levels. Spray the leaves right up until water starts dripping off the leaves. It is also a good idea to do this in the morning hours to give the water time to evaporate, which will help prevent fungal diseases. Also, make sure to fertilize your topiary plant with a 10-10-10 water-soluble fertilizer every other month. Combine the fertilizer at the ratio of .5 teaspoon per 1 gallon of water. Apply the fertilizer in place of watering. Cut back vigorous stems emerging from the top and bottom of the topiary. Snip the stems with some pruning shears, one-quarter inch above the leaf nearest the form. Also, don’t fogey to snip off the weak, broken, dying or diseased stems at their bases, then pull them out of the topiary. Make sure that their is no webbing or tiny spots on the ivy’s leaves. These are signs of a spider mite problem. Clean the webbing off of the affected leaves with warm water. 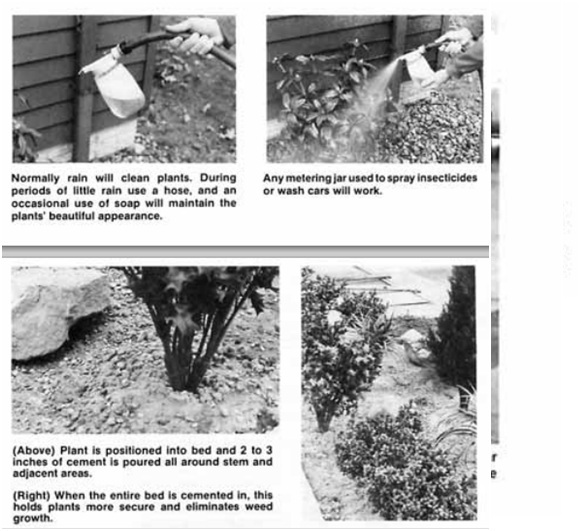 Douse the leaves with insecticide to get rid of the spider mites. It is important to put the topiary in a larger pot once it has outgrown its current pot. Fill the new pot with one-third full of potting soil and remove the topiary from its current container. Tenderize the bottom of the root ball gently to spread the roots outward and put the plant in the middle of the new container. Now fill the pot to the top with soil, patting it down around the roots. Make sure to hydrate the plant thoroughly afterwards.